If someone (e.g old people) can't eat a kzais (about 20 grams this is according to volume) of matza on seder night (within the required amount of time) because its too dry one usually wets it to make it softer so that he can eat it and fulfill the mitzva of achilas matza (eating Matza). This is a problem for people who don't eat gebrocht how can they loose out a mitzva? maseches Kesubos 86a says constant refraining from mitzvos asei smite him until he agrees or dies and Rosh hashana 17a says refraining can amount to more iniquity then someone who transgresses Chayvei krisus (sins which one dies under 60) and misos beis din (sins which one gets killedfor)? There is a story with the previous Belzer Rebbi that his mother was elderly and could not eat Matza without dipping it in liquid. She originally refused to eat it that way. In order for her to eat the Matza as required the Rebbe himself dipped his own Matza into liquid and ate it even though he was generally careful not to eat Gebrochts. Thus one who has no other choice can definitely eat Gebrochts even if their Minhag is not to. O.C. 461:4 says that bedi'eved (See M.B. #17 that defines outright a sick or elderly person who can't eat dry matzah) may soak the matzah in water and he fulfills the mitzvah of eating matzah. Gebrochts is a minhag. It is based on a stringency that matzah soaked in water might become chametz. Check with your rav. But, generally, given a lack of choice to fulfill a mitzvah, I'm quite sure that a rav would say that fulfilling the mitzvah of eating matzah has priority. There is certainly support to it from O.C., here. You might also want to check if one fulfills his obligation by eating less than the minimum amount mentioned if he is an oneis. That may be another option. Not the answer you're looking for? Browse other questions tagged halacha passover passover-seder-hagada matzah gebrochts . How do I bake my own matza? Can you eat the Beitza at the Seder? Why is the positive mitzvah to eat matza only for the first day of Peach? 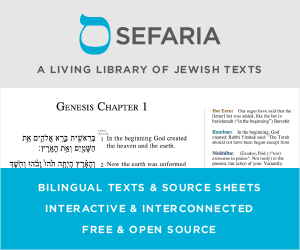 Which sefiros does each seder matzah correspond to according to the Ari?